Freelancing and blogging are two of the most sought-after careers if you plan on working through the internet. Instagram features all attributes of an app that can serve both as a public/private platform, run a business or work for someone else. Below are ways to how you can use Instagram for more than just scrolling through pictures. Many accounts on Instagram now feature only pictures, giving a mundane effect. To make a prominent, impact and to continue to entertain your followers, your Instagram must feature a good shuffle between pictures as well as videos. Posting a video once in a while will show a lot more commitment on your part and will add a spontaneous element for your followers. Offering maximum closure to followers with your lifestyle and products will build a better trusting engagement. Instagram is vital to have people look at your account and want to see more. To have a bio that is intriguing, funny, motivating, witty or just about that makes on visitors of your profile stop for more. A good bio will the first step to your money making life on Instagram. The bio will speak for you, even before your content does- make sure it is well thought out. The major part of making money from your Instagram account is by having something to offer. If it is already running a business, the products should be appealing and look credible enough for other people to buy. By far, the best way to create a virtual work office for yourself is to begin writing a blog. The blogs could be about social issues in your current society or food blogs as a matter of fact. Other than that your account could be blog working a particular company or all things human. Blogging could provide you the prominence you need on the platform of Instagram; it could later land you hiring by the company or products you have been blogging about. 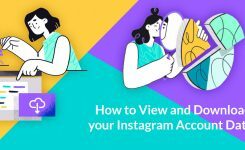 This works best for people that do not have a devised plan for their Instagram account. Working as a sponsor for different companies and restaurants really activates your prominence up a great many notches. If you happen to sponsor or conduct marketing for a product, this would get you the title of a food blogger or enthusiast. The companies would, in turn, pay you for promoting their content and you also might become an official. Moreover, in no time other accounts of various companies might access you to write for their products and promote their content as well. Instagram accounts can be used for selling your talent. If you are talented to the bone, with a god gifted creative trait, then sell it off on Instagram. Making money would prove widely appealing if it comes from doing something you love. If your masterpiece can be advertised on a canvas, then construct one of your best works and post them on your Instagram account. Other than that if your skill features photography, cooking or even if you happen to own a pet- use it to your advantage and become a star on Instagram. No matter how talented and amazing your account is, it will not do you any good if it is dormant. Make sure that you are vocal about your Instagram accounts on other social media platforms as well as on Instagram itself. It is important to follow other accounts and profiles and interact to get their attention so that your account becomes prominent in what it is offering. Make sure that your Instagram account remains up and running with posts and interactions on a daily basis. A great way to make every day count with maximum activity is to use bots to run the account for you. 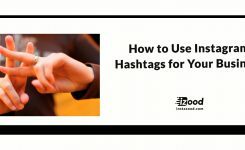 Instazood offers promotions that engage in scheduled activities on Instagram on a daily basis. This will not only let users not to forget you but also attract further followers through the various techniques a bot uses to increase activity. 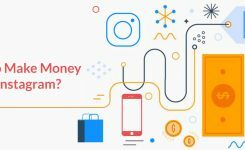 Using every available feature and communication technique to your advantage is what paves the way for money making with an Instagram account. One of the most famous means of communication is using the relevant hashtags related to your content, product and other accounts with the same product as yours. This will allow you to maximize interactions with content related to your profile. Other than hashtags, if you are working on blogs, using the location feature on your post will increase chances of people coming across it. E.g., if it is a food blog, the hashtags should be related to every food community also those that are most popular. If not hashtags, then the location will highlight your posts in the ‘explore’ column and vice versa. Making money on Instagram only takes for the individual to point out what they wish to do. As an extra endeavor, go for anything you like as a hobby or extra interest. Posting the right and original content that people want to see more as well as being devoted to it matters a bunch. Once you have set Instagram on fire with your perfect profile and gained a top position, do not forget to remain consistent with your work. Instazood will prove to be managing your account with efficient consistency it needs from you. The bots offered by the website will indulge in working tirelessly to maintain the level of your account by using hashtags, location features and interacting with other profiles through comments making the account consistently alive.